This post summarizes my family’s summer vacation. Similar to prior posts about summer vacations (e.g., here and here and here), it tells a number of shaggy dog stories about the role of IT – specifically, about choosing the campsite, traveling on the road, and making conversation in a boat. In brief, the post uses my family’s vacation to illustrate the role of information technology in daily life. I hope these stories resonate with you, and I hope you find them entertaining. 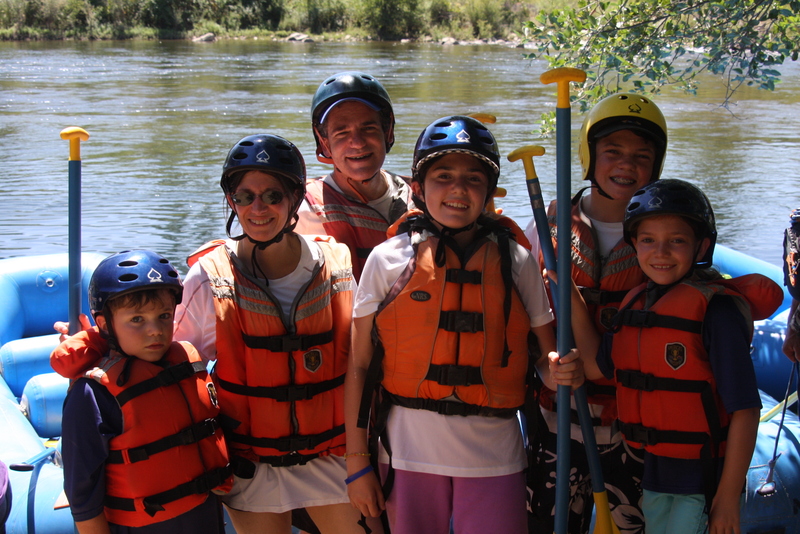 The first story shows how modern IT helped us get to “Monster Minigolf.” We ended up at Monster Minigolf because I aspired to have my children experience class 3 rapids similar to those I had experienced on the Stanislaus River. Let me explain that. 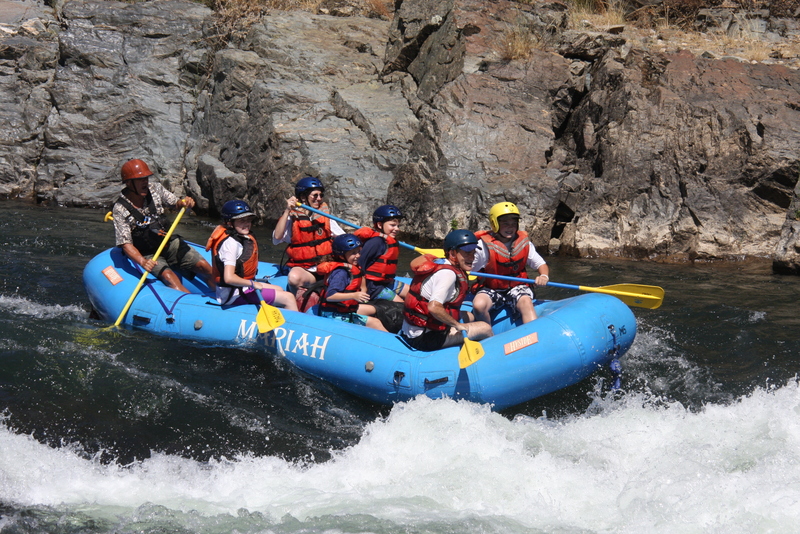 This was not our first rafting trip. 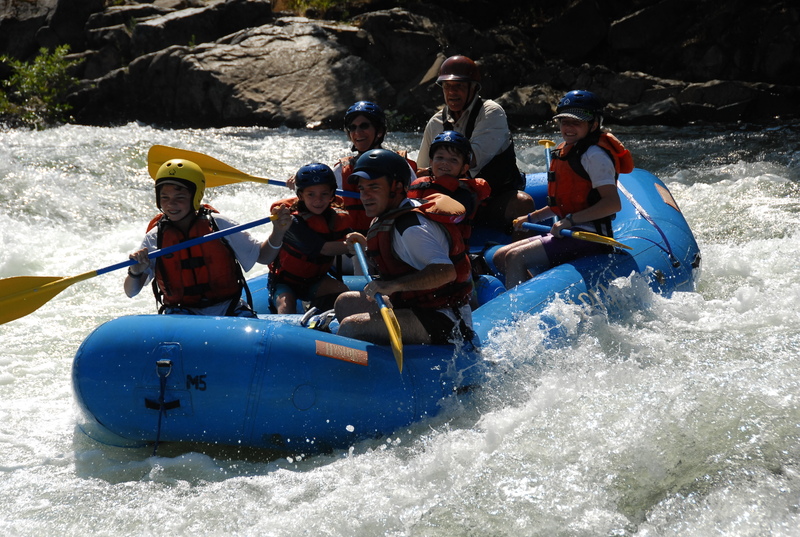 Prior raft trips involved class 1 or class 2 rapids – that is, little shakes, along with a few tosses and turns. 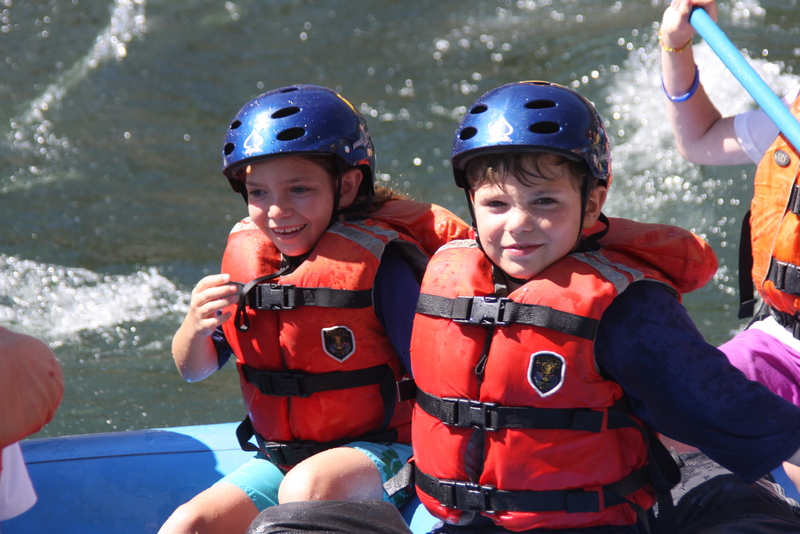 Class 1 and 2 rapids are not dangerous, nothing that could make a boat flip or wrap around a rock. 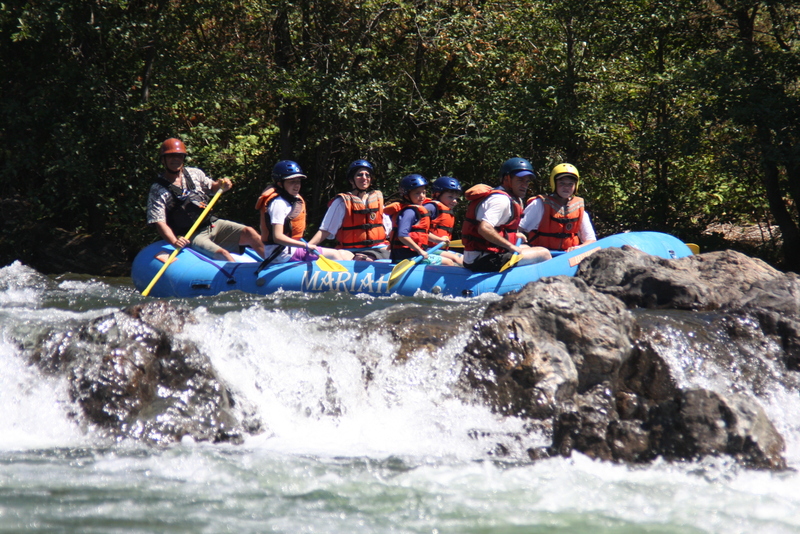 The South Fork is a step up, and contains several class 3 rapids, namely, large drops and splashes several feet high, as well as bumps which threaten to throw a passenger into the cold river. 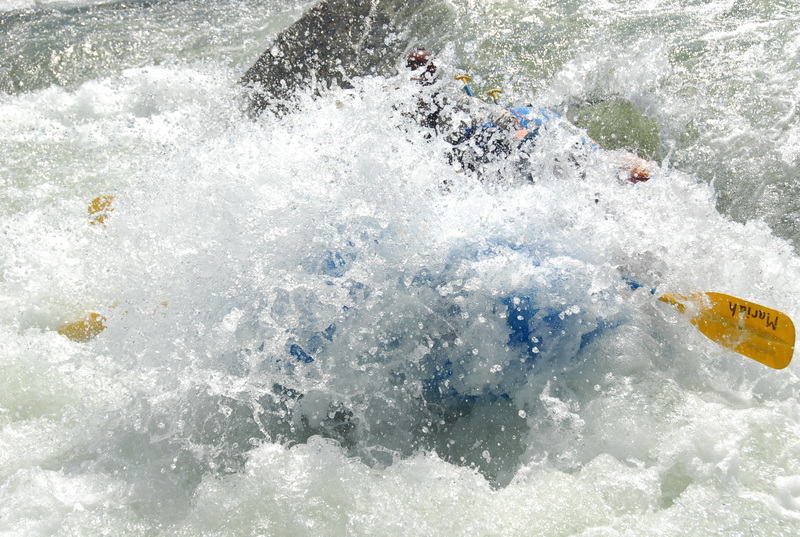 My aspiration to raft in class 3 rapids did not translate into reality without drawbacks. 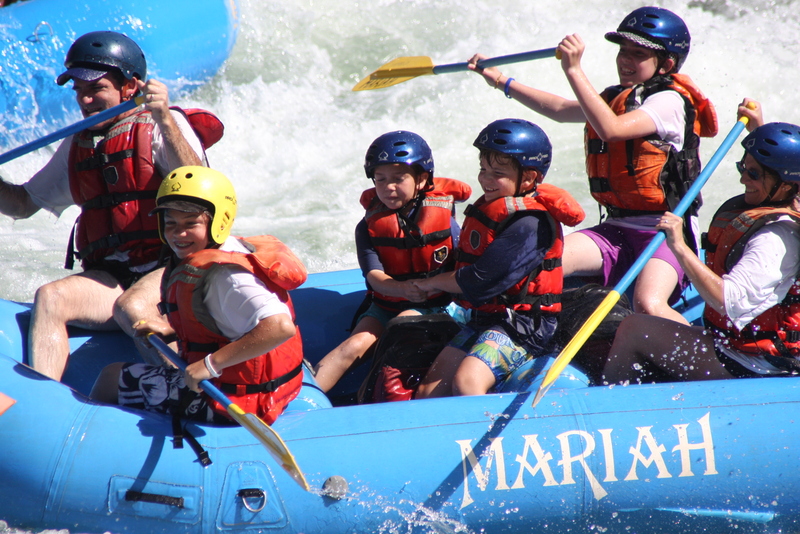 The Stanislaus River had been turned into a reservoir, and the next best alternative appeared to be the American River, which was far away from any other location we would visit this summer. Reaching it involved a long drive in a rental van. My wife and I accepted that drive in principle, but began to regret it when construction and bad traffic turned that long trip into an even longer one. We knew we would have a restless crew on our hand if we could not find a way to take a break for fun. That is when modern IT came to the rescue. To be clear, we did not face an immediate crisis. The kids played a road game – cow-spotting – and that bought us some time. We merely worried the entertainment would wane. Any parent gets the point. Cow-spotting can work for a while, but surely not for five hours. At a rest stop out came the smart phone, and then Google Maps. My wife and I sat there in 95 degrees in the middle of Central California while the kids visited the bathroom. Searches began with “Minature golf near zzzz…”, where zzz included several cities we would pass in the next three hours. We found Monster Minigolf in Rancho Cordova, along Highway 50, not much off the path we were taking, and called them to make sure they were open. We announced to the children that we would stop there and the promise of future fun seemed to serve its purpose. The cows multiplied and the laughing continued. Monster Minigolf turned out to be a new franchise. It contained an absurdly silly set of eighteen holes of putting, all within an air-conditioned space. The room was painted with florescent ghosts and skeletons and monsters. It was hard to take anything seriously in such a setting – which was the point, of course. The kids felt at home, and everyone could participate. Think about it. Finding a diversion like this would have been impossible a few years ago. With Google Maps and a smart phone it was possible, almost easy. 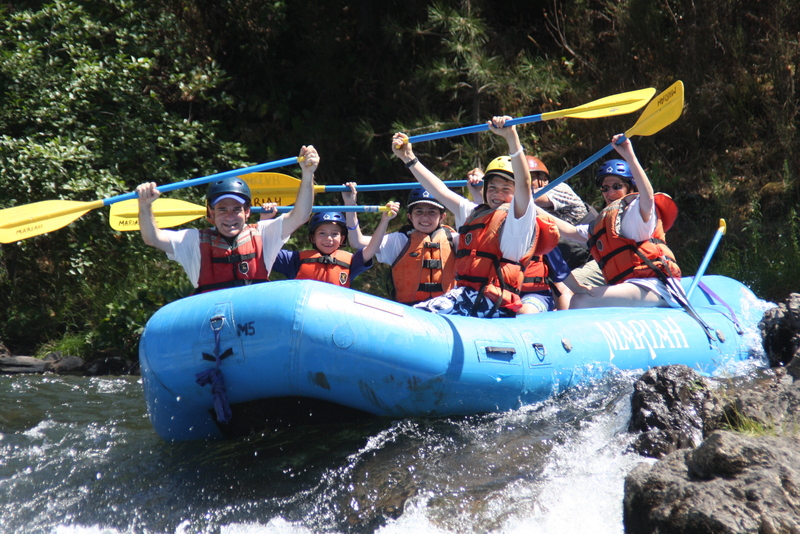 Modern IT played a key role in choosing our rafting company. 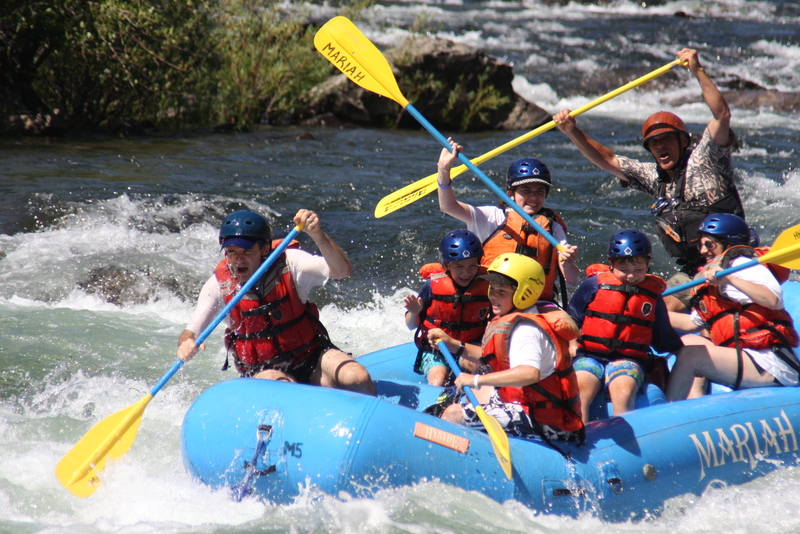 The South Fork of the American River supports many rafting companies, more than a dozen offering family-oriented trips. Everyone located themselves within a few miles of Coloma, the location for Sutter’s Mill, where gold was first discovered in California, almost halfway down the navigable parts of the South Fork. But which one to choose? In June I had narrowed the search to a few companies who had trips that would work for my family. They varied in the quality of the campgrounds – starting with rustic settings (bring your own tent and sleeping bag) and becoming almost luxurious (cabins with beds and indoor plumbing). Much of the variance was deliberate, with each camp stressing its appeal for a specific type of person. Related, their locations also varied. Some were located in the middle of Coloma and within walking distance of a coffee shop and pancake house, while others put themselves a few miles out of town. The former touted their centrality in town, while the latter made much of the pleasures of rustic camping. Google Maps helped sort between the choices. Most companies would show pictures of their camp sites, but (understandably) did not give out their postal address. I phoned a few finalists to find out their address, and then inputted those into Google Maps, bringing up the topographic features that satellite photos highlight. Pictures emerged of trees, and roads, and beaches, and buildings. That let me make an educated guess about which camp sites faced interfering light from Coloma. I could not be sure, but I also hoped the suburbs of Sacramento would not generate interfering light (it did not). 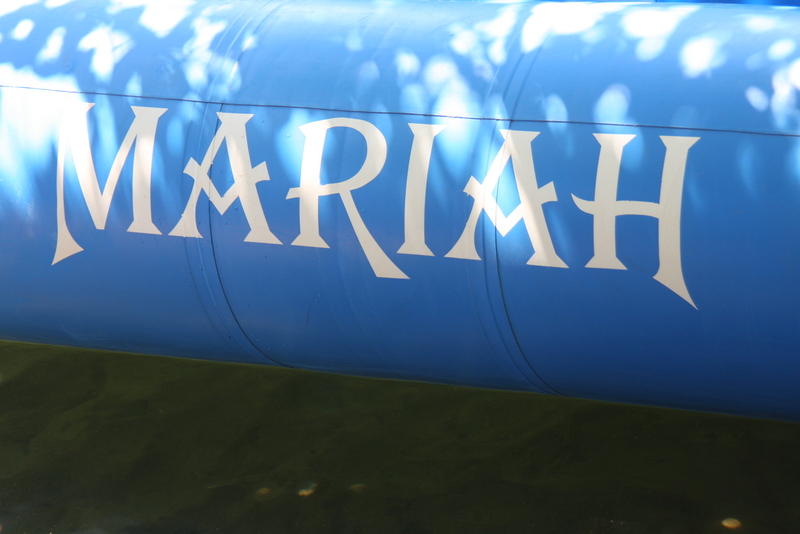 I ultimately chose a rafting company for our trip named Mariah Wilderness Expeditions. Aside from having the type of family trip we wanted – including a genuine gold miner to explain panning for gold to the kids – I liked the location of its camp site. It was out of town, away from any lights of Coloma. My guess about interference from city lights turned out to be right. I did not find that out until we stopped counting cows, about a half hour in advance of sunset. We had just enough time to unload the car, spread out the sleeping bags in the tent, and get a feel for the lay of the land in vanishing daylight. My wife and I set up chairs outside the tent. I bided my time, waiting for the sunlight to disappear. It felt like the middle of nowhere, but the cell phones worked. I made a phone call to my parents, setting up dinner for later. The crickets’ chirps rose over the sound of the river’s rumble. Somebody saw a shooting star. An airplane went across the sky, its light slowly traveling against the black. We all agreed that it was no star. Memories of grade school constellations began to dominate the conversation. Different children recognized the Big Dipper, the Little Dipper, and Cassiepio. The Milky Way began to glow, faint at first, increasingly coming into focus. The children began to recognize it. The two oldest children had seen it at overnight camp in Northern Wisconsin. They pointed it out to the younger ones. Parental pedagogy took over for a moment. Perhaps nobody had ever explained our place in the fingers and swirls. I tried, gently. The younger ones seemed to see it, and I felt satisfied. Then we went to bed. Perhaps I was the most satisfied of anyone. 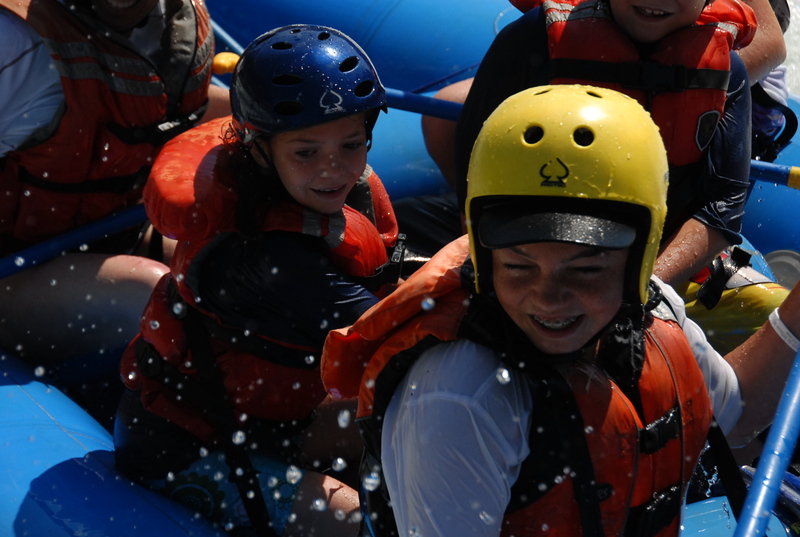 Information technology came up in one other context, in conversation in the raft while on the water. 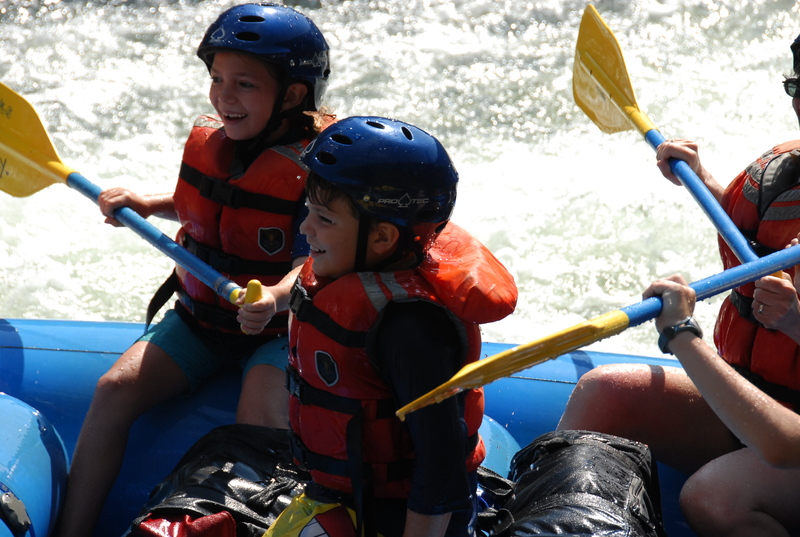 It provided fodder for biographical chatter with the river raft guide. Our guide was Karl. 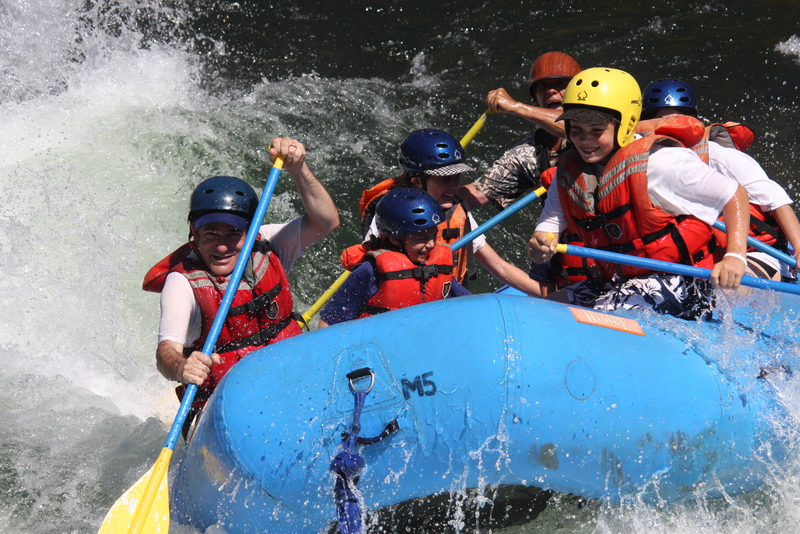 A good river-raft guide performs a diversity of roles. 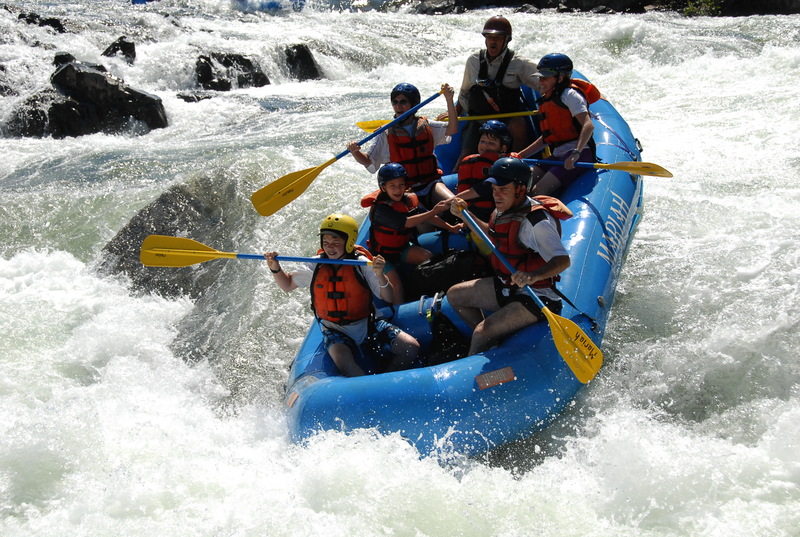 First and foremost a guide must operate as the rudder for the boat, steering its direction. 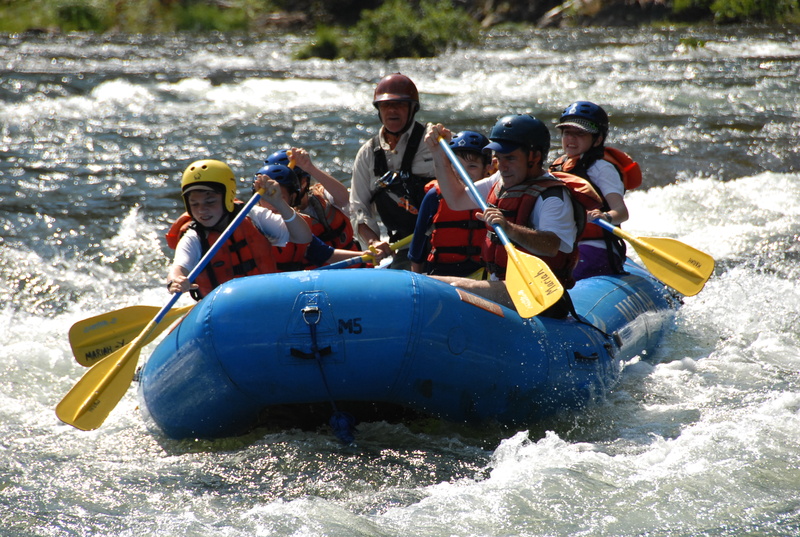 As part of that role the guide must issue commands to the boat passengers, who paddle in response to a command – forward paddle, gentle or hard, back paddle, left turn, right turn. As best I understand it, the guide attempts to steer a boat towards specific points in a rapid, something they call “hitting the line.” These lines balance a range of objectives – avoiding danger, experiencing a fun set of bumps, coming through with no passengers falling out. It takes experience and training, especially for how to handle a bad outcome in the unlikely event that it arises. In practice, a good guide can deliver a quick explanation, giving the paddlers a sense of their duties and the dangers to avoid. Karl did that well. A guide’s second duty is more amorphous, and less technical, and can become quite enjoyable. The guide fills the calm moments with chit-chat, listening to questions and responding. Like a teacher, a guide instructs the boat’s paddlers about the next rapid and what it demands, but a guide also acts like a consultant, telling stories about the triumphs or failures of prior boats, teaching lessons to new students through illustration. Like a naturalist, a guide points out interesting sites along a route, identifying bird and traces of visits from mammals, such as bears, but chooses the topics based on the boat. A guide is almost like a hair-stylist, an expert conversationalist who gives some of his own biography, and elicits the biography of the passengers. From the passenger’s viewpoint the experience resembles a cross between an amusement park log-ride and a third world taxi situated in the back of a pickup truck. There is a conversational rhythm that goes with something so physically uncomfortable, stopping occasionally for bumps and threats and thrills, resuming after momentary interruptions. The conversation involves direct language, and stories that get to the point. There is no time for multiple digressions. Wit wins the day. In our case, Karl had to suit his comments to the family he had in front of him. We told him about ourselves, and he responded in kind. That is where information technology cast a shadow. It was a key piece of Karl’s biography. He possessed a biographical outline common to my generation. Karl was a self-taught technology entrepreneur. I delighted in it when it emerged. Decades ago Karl had fallen in love with personal computers. Like so many tinkerers with itinerant curiosity, he taught himself PCs, had taken apart systems and learned to fix both common and odd problems. His business had grown and thrived, as well as waned, in concert with the big waves of value creation in PCs and the Internet. He had supervised employees in an IT-maintenance business. 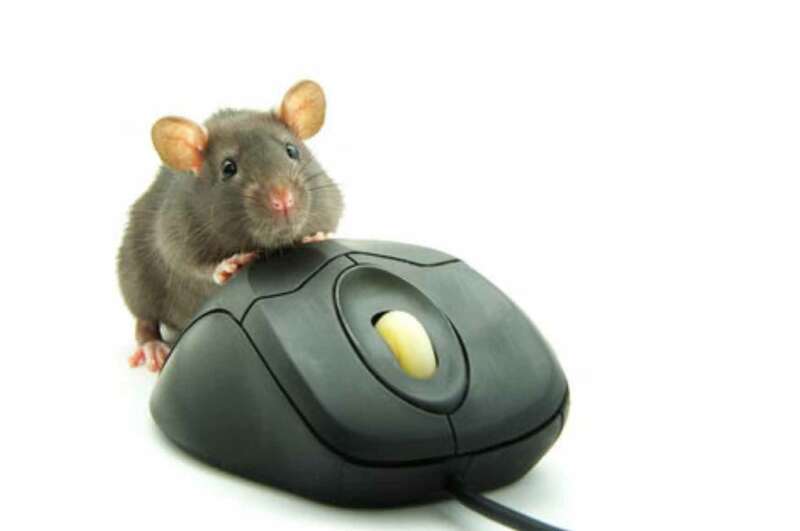 He had lived through the Internet revolution, and still had a set of clients he served in the off-season. I write about this stuff for a living, so I was at home with this conversation. At times the rest of the boat had no idea what we were talking about. More to the point, I would have to guess that my kids were either annoyed or embarrassed by their father’s nerdy enthusiasm. After a day of rafting the children panned for gold with help from an expert miner, and then we all ate supper. Sated and sunburned, we retreated to the tent for a second night of camping. After the sunset we took a little hike to a new viewpoint, in a parking lot, up the hill from our tent. The new viewpoint afforded an unblocked view, void of trees. I had discovered this spot on the prior night during a flash-light-aided late night visit to the bathroom. The galaxy did not appear as one continuous line in the broad sky. A break in the fuzzy line appeared just off the center. I did a double take. On this particular night the Milky Way resembled a celestial exclamation point. The next morning we settled back into the boat for a second day of rafting and chatter. 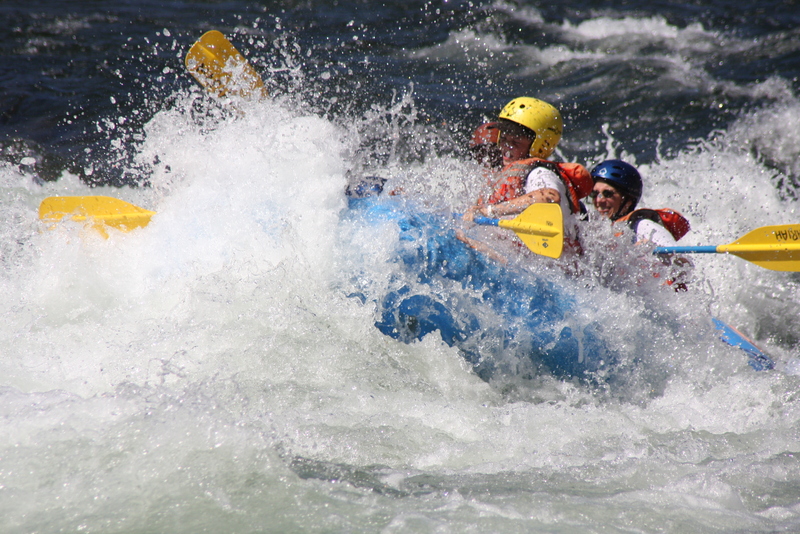 After a few rapids the river slowed down and our conversation took a delightfully absurd turn. I have met others like Karl, and learned to admire their independence and tenacity. People like this come out of the woodwork in thousands of locations across the US. They keep the high tech world viable in many different locations, and do not ask for inordinate amounts of credit. In this case, Karl had done this for Placerville, which is the biggest city near Coloma, and everything nearby. We chatted away. No script writer could have imagined such an incongruence between dialog and setting. Movie directors could not have arranged for what came next, sheer delightful absurdity. At some point Karl and I started discussing local area networks and Wi-Fi. I have written about the economics of the development of Wi-Fi, and met the engineer who helped lead the committee that developed Wi-Fi. I shared some observations about him. It’s not everyone’s taste in topics, to be sure, but Karl was eating it up, so maybe that explains why we both let the technical nerdiness bloom without restraint. The conversation turned to a topic dear to Karl, the networking at our base camp. Karl delivered a quick summary of the history of networking at our remote site. Karl declared his enthusiasm for “802.16” and my eyes must have lit up. The camp’s wireless capability came by way of IEEE 802.16, a.k.a. Wi-Max, the latest high speed and high volume wireless technology for delivering data from large towers. I nodded with enthusiasm. Nobody else in the boat spoke. For a brief moment the difference between passenger and guide melted away. We were just two fellow travelers who had the same quirky interest, and one we rarely get an opportunity to express. We both knew that everyone else was hopelessly lost in the details, but it did not matter. He and I rode down the river, nerd talking to nerd, discussing the details of how to implement the 802.16 protocol in a remote camp, such as Mariah’s. The other passengers looked at the scenery, while we reveled in the technical details, absorbed with enthusiasm, yapping away. It could not last long, and it did not. Karl’s tone suddenly changed as he saw an approaching rapid. His eyes looked ahead. He paused, and I looked ahead. We both fell silent. Nobody else said anything, and the low rumble of an approaching rapid touched the air. Echoes of Wimax faded into the river’s ripples. Karl looked at everyone, and instinctively we all shifted our weight, turning toward the front of the boat. 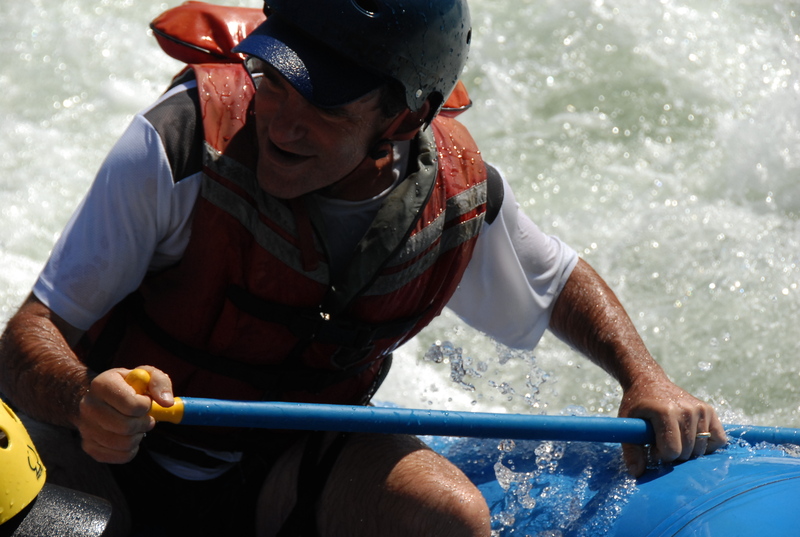 He declared “Forward paddle” and the raft moved on. Wonderful trip, Shane. What a precious gift to give your children.